Yay! You’re engaged! And you’re planning the most exciting day of your life. All eyes will be on you as you glide down the aisle in your dream dress. Feeling a little panicky at the thought? Well, here’s the good news. If you stick to the programme and tips on this site, you won’t have to worry about any unwanted bulges – or yo-yo weight loss – again. Shedding For The Wedding is scientifically designed to help you achieve healthy and lasting weight loss – in just 12 weeks! The workouts use minimal equipment so you can train at home or in the gym. The meals can be customised to suit your budget and will keep you satisfied and happy. Best of all, prepare to see results! Aneeka is a master trainer and mentor at Virgin Active and a 2016 Women’s Health Next Fitness Star finalist. She holds an international diploma as a personal trainer specialist from the International Institute for Sports Science and Fitness Training and an international certificate in strength and conditioning. Based at Virgin Active Silo District, part of the exclusive Virgin Active Collection, Aneeka’s client list includes celebrities, top international athletes and business leaders in industry. 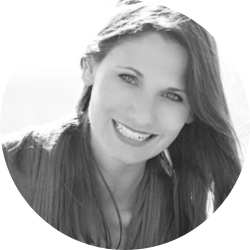 Carey has a master’s degree in nutrition and dietetics from Stellenbosch University and a BSc Med Honours in dietetics from the University of Cape Town. She’s worked as a private-practice dietician for 13 years, with clients including top athletes and celebs.